Or maybe you are in a relationship with someone you consider an introvert? If you are an introvert it’s easy to assume the extroverts in our life could never understand how we view love. But let’s give them some insight as to how we view love and our relationships. Time to help them out a bit at deciphering the magical mysterious beings we introverts are! We are quiet, but the voice in our heads is very loud. Sometimes loving us is simply respecting the quiet we need to function. We don’t need the air full of words to feel love. We just need you with us, quietly there allowing us to be authentic. We love to enjoy simple, quiet time together with you by our side. We can stretch and be more extroverted for brief periods of time. We only do so for people who truly mean the world to us. So when we agree to go to the large wedding party with you, we would love if you could balance that gift. The next day we may need time to recharge in solitude afterwards, and having your support for that time will make us more willing to step out of our comfort zone again. If we have picked you we have already determined you’re worth the risk. We have chosen you as one of the few worthy of letting see our inner self. This leaves us vulnerable, but some people are worth that risk. Listening is showing love to us. We are thoughtful before we speak. So if we have expressed something to you, know to us it is 100% true. We don’t take words lightly. When we communicate something important know that we have spent time beforehand considering our message carefully. Introverts are very good listeners and love to have that same respect returned in kind. 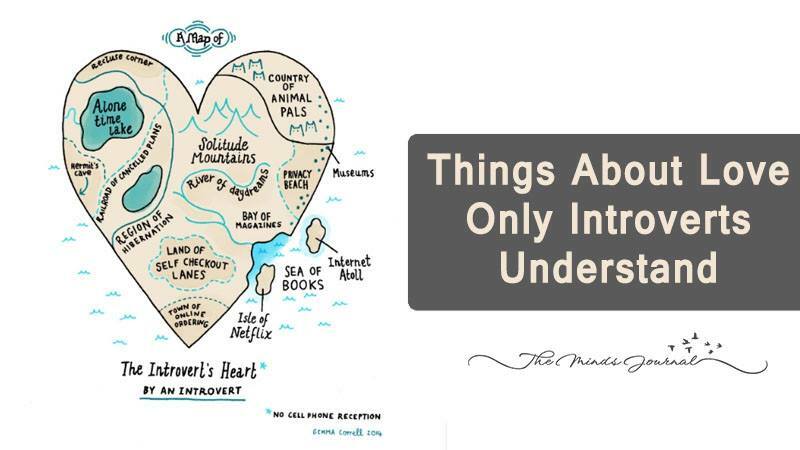 When you love an introvert you may always feel a tiny bit like an outsider in our little world. We are like our own little universe of being. Once you are granted deep connection know that never goes away for us. We risk that level to very few. There is no big secret we are hiding up in our heads. We are just thinking, processing, turning life over in constant examination. It’s just part of who we are. We admire and envy you at the same time. We are in awe of your ability to woo others, and charm the room. The ease at which you seem with strangers. It is part of why we are attracted to you. But it is also a little threatening to us. We see in you something we know we can’t be, and we worry you will grow bored of our quiet spirits. We need time. We work things out in our heads first. We choose our words with care. Just diving into a reactive fight to is not going to work well for an introvert. Often when we go along with hashing it out before we are ready we won’t really buy into the resolution. If we process first, and then talk you will know exactly where we stand. We depend on those we love to understand us. Sometimes we do live in our heads far too long. We tend to over-think many things. Being in love with someone who understands these things about us helps us reach out more often. If you wonder just ask us. We appreciate knowing you are noticing, reaching out and that when we are ready to get out of our heads you are there for us. Just because we don’t gain energy from large gatherings doesn’t mean we don’t love to laugh and have a blast. Introverts have sharp witty humor that reveals itself when they are with people they trust. A quiet spirit doesn’t mean boring by any means. We know we are different, or at least we feel different than others. We don’t expect everyone to be just like us, or enjoy the same things. We want to make you happy. We need to know if you are happy with the level of social activities we share, and in the depth that we share ourselves. It is a balance of taking turns giving to each other without giving more than we have. We want to know we are doing our part to meet your needs and that we make you happy.